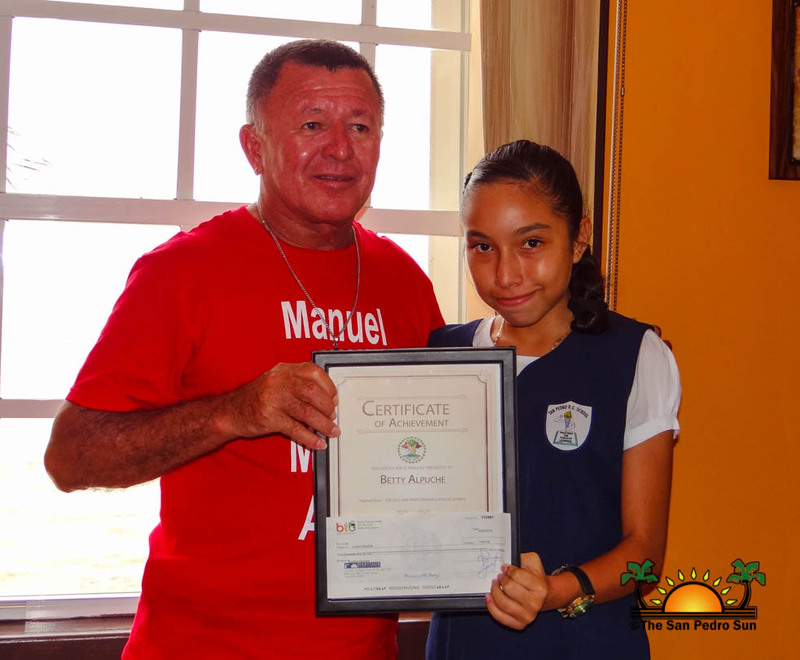 « Older: Ambergris Caye Starfish Summer Camp is set to go! 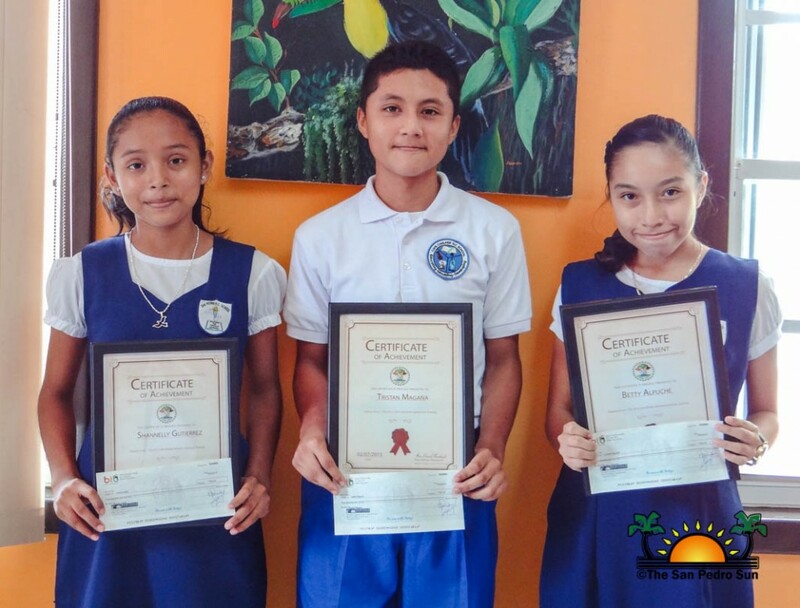 Two students from San Pedro Roman Catholic Primary School (SPRCS) and one student from Caye Caulker Roman Catholic Primary School (CCRCS) were honored on Thursday, July 3rd for receiving high marks in the Primary School Examinations (PSE). 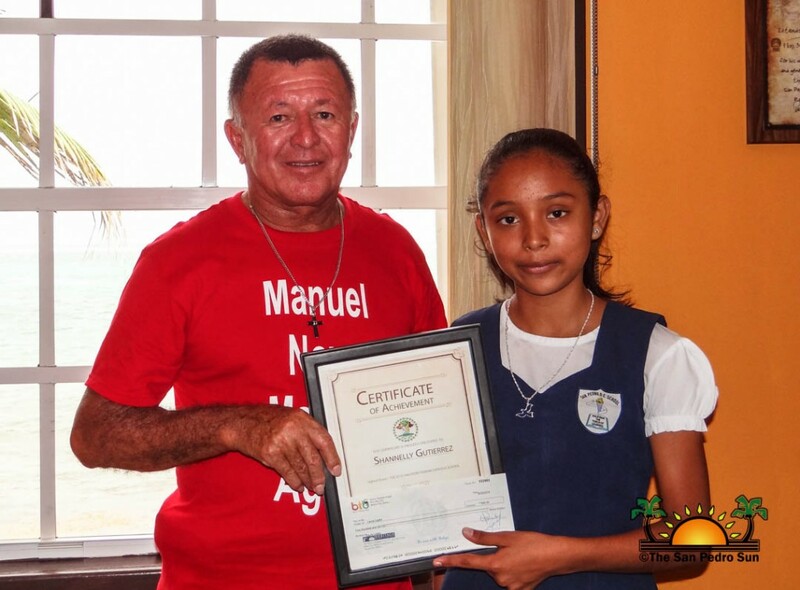 Betty Alpuche and Shanelly Gutierrez were jointly the top PSE scorers for San Pedro Town while Tristan Magaña was the top scorer for Caye Caulker Village. Alpuche and Gutierrez both scored 91.3, while Magaña scored 88.5 in the test. 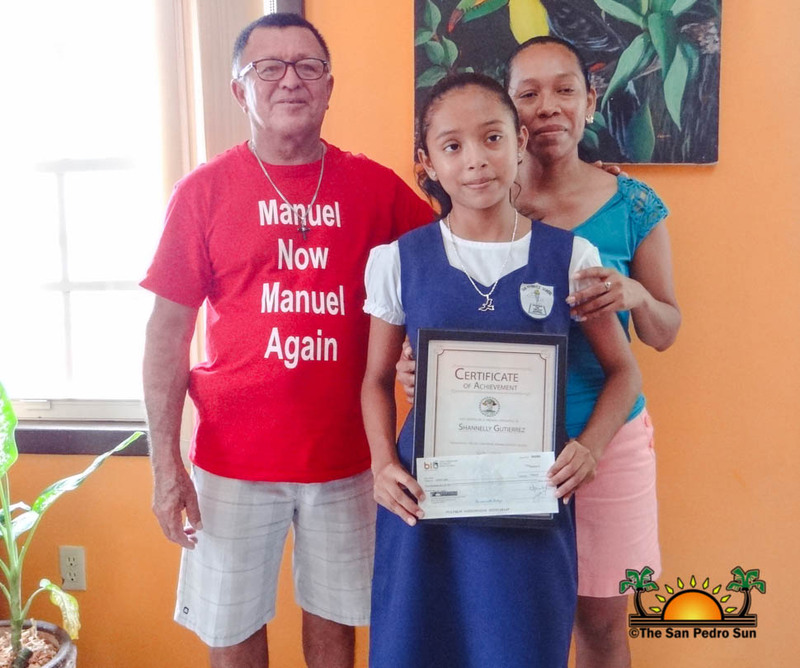 For their momentous achievement, Area Representative Manuel Heredia Jr. recognized the bright students by presenting them with a plaque and $500 check, each. 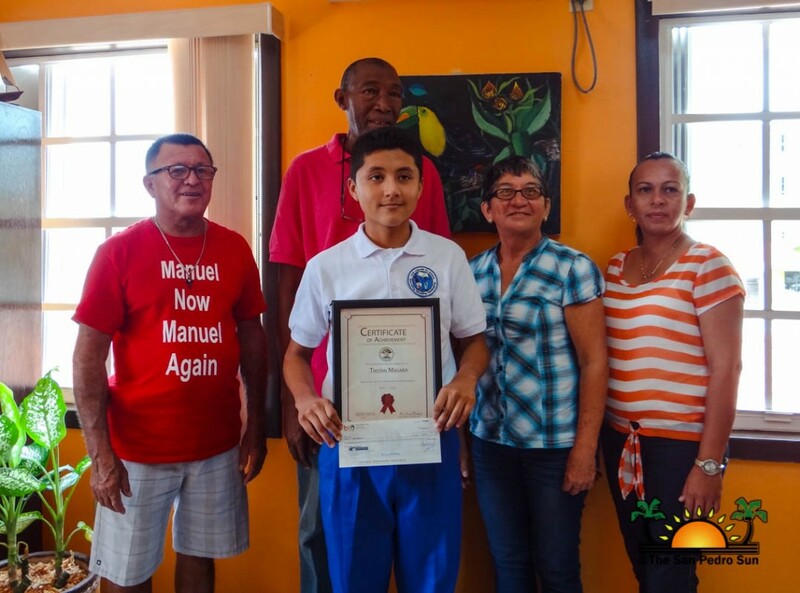 The short ceremony was held at the Belize Tourism Board (BTB), San Pedro office with Caye Caulker Chairman Wayne Miller, Caye Caulker Councilor Emelda Rosado, CCRCS Vice-principal Adelita Verde and the parents of the awardees present. Heredia indicated how proud he is of all three students and he hopes that they continue performing excellently at their secondary education institution of choice. The recent primary school graduates will soon be embarking in their high school journey. 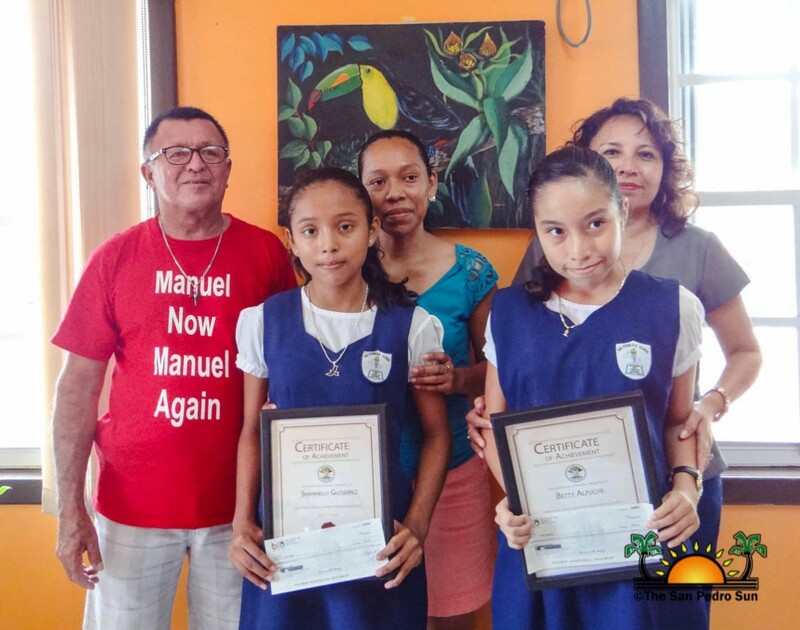 Magaña will be studying at Muffles College High School in Orange Walk, while Alpuche and Gutierrez will be attending San Pedro High School. 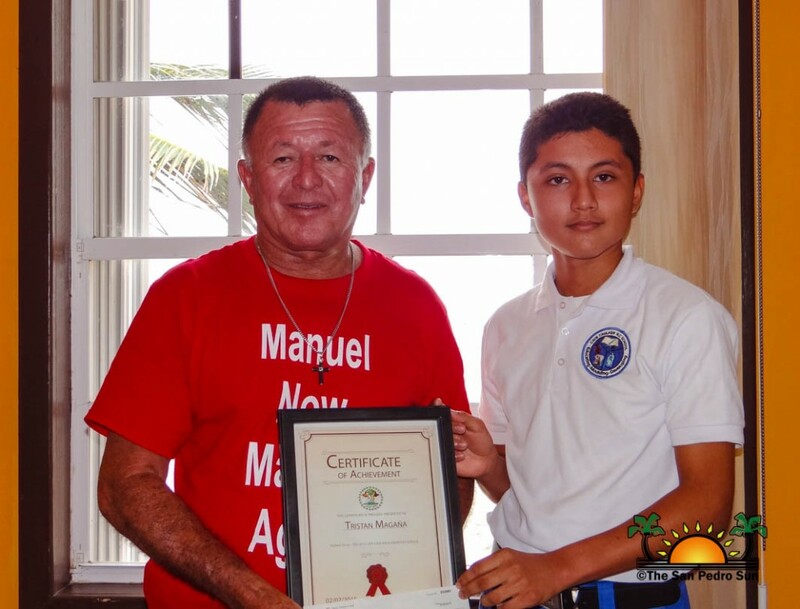 The checks were given as a token of appreciation by Heredia. The monies will assist the families in covering school expenses. “It is always good that we encourage our children to be educated. They are our future and the education we give them will assist them in being better citizens. 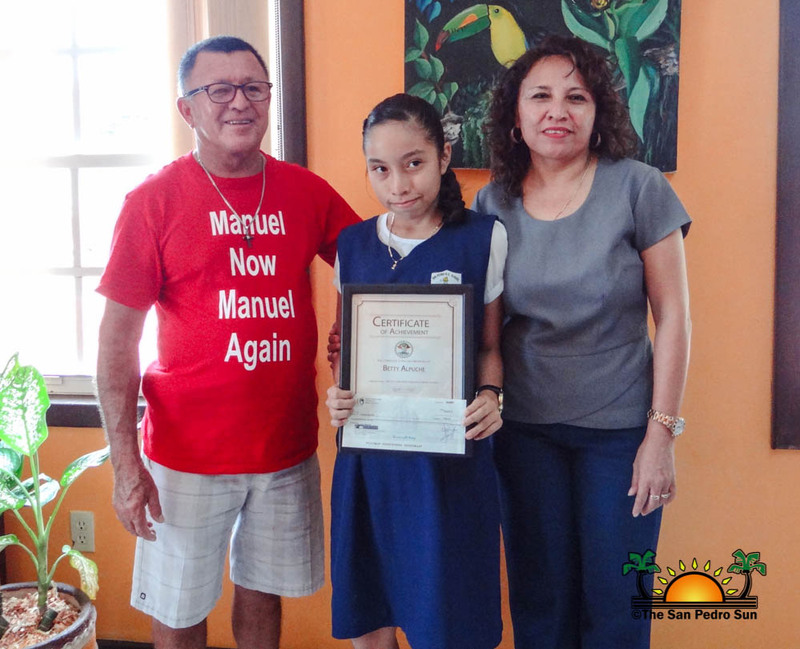 I congratulate each and every student that sat the PSE in both Caye Caulker and San Pedro. 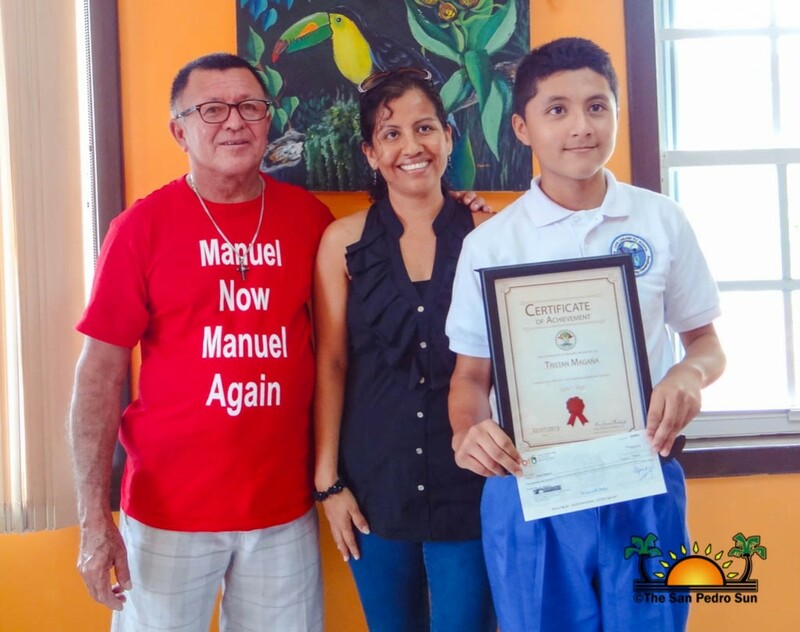 I would also like to thank the parents for pushing their children and assisting them in their education,” said Heredia. Following the award ceremonies, those in attendance joined Heredia for lunch. 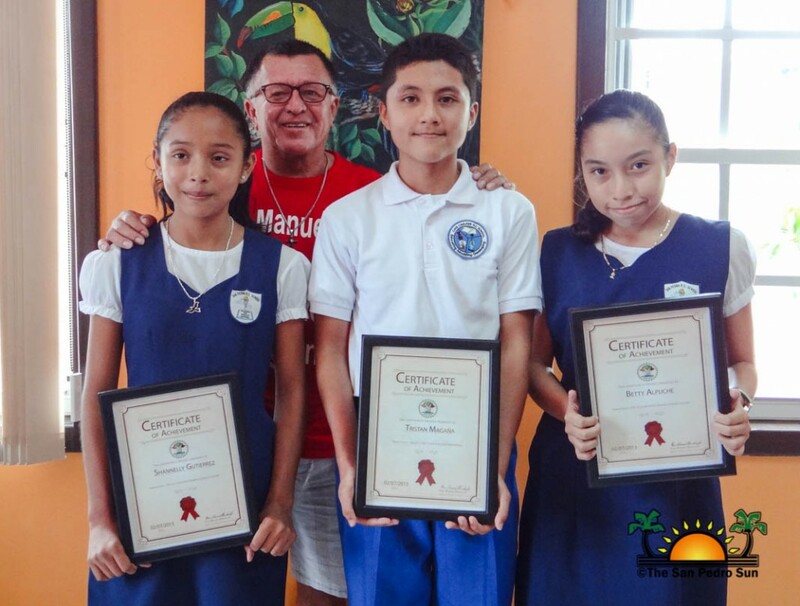 The San Pedro Sun congratulates Alpuche, Gutierrez and Magaña for their exemplary performance in the PSE!